This is a program designed to train students on key aspects of personal marketing, highly valued by organizations that recruit at INCAE. It is undertaken during the MBA program, at scheduled times assigned in each module. The sessions complement the academic curriculum and cover topics such as wages, label staff, the Benziger Thinking Styles Assessment (BTSA), oral communication, interviews, career goals, CV & Resumes, among others. The program consists of individual and group sessions, with occasional guests, such as graduates, human resources consulting firms, etc. 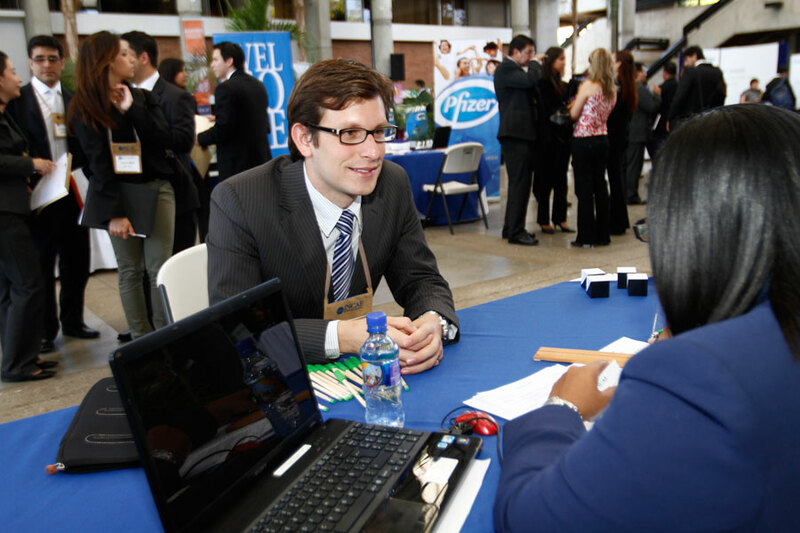 Career Services assists INCAE employers and graduate students in all career related topics. Employers: Through BTI Jobs at INCAE, the Online Recruitment System and Professional Talent Fair, we provide companies (multinational and local corporations) the platform to recruit the professional talent they require. MBA students: With the Professional Talent Fair, the Intranet section of Student Career Services and Career Management Program (CCP), students are provided access to job offers, internships and permanent positions. Graduates: Through the Career Services Intranet section, graduates are able to apply to job openings. What is the Benziger Test? Styles of thinking and skills development. Levels of extraversion – introversion. Emotional tone and stress levels. Indicators of adaption of thought. Facilitates an exercise of self-knowledge. Become aware of the emotional tone levels. Provides a platform for defining developmental plans of action for more effective personal and professional growth. Why do we use the Benziger test? INCAE applies this test to students in order to effectively guide them towards their ultimate career goals, personal branding and marketing, and in order to facilitate placement in internships, the Management Consulting Practice, and permanent positions at the end of their MBA.